Over the weekend I’ve continued working on the Woodkirk cardigan I’m making for myself, hoping to finish it in time to wear at Edingburgh Yarn Festival. While knitting, because of the atrocious massacre of Muslims in Christchurch, I’ve been feeling much sadness and anger, and reflecting on the outrageous hatred for Islam and Muslims that has grown over the last few decades, fed by right-wing media and bigots on social media. Much is now being said about this in the context of current events, and I urge you to read about it, and to commit to actively working to counter it. I also urge you to educate yourself about Islam and Muslims so that you can counter anti-Muslim bigotry among your friends and family with corrective knowledge. 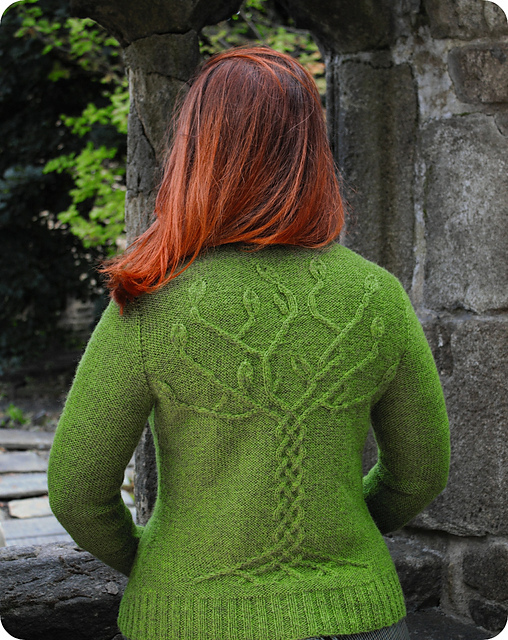 To that end I offer a little piece of knowledge relating to my current project, which features a Tree of Life worked in cables and embossed leaves. When I first created this design I referred to the presence of the Tree of Life in many religions and ancient mythologies. Let’s focus on its presence in Islam. 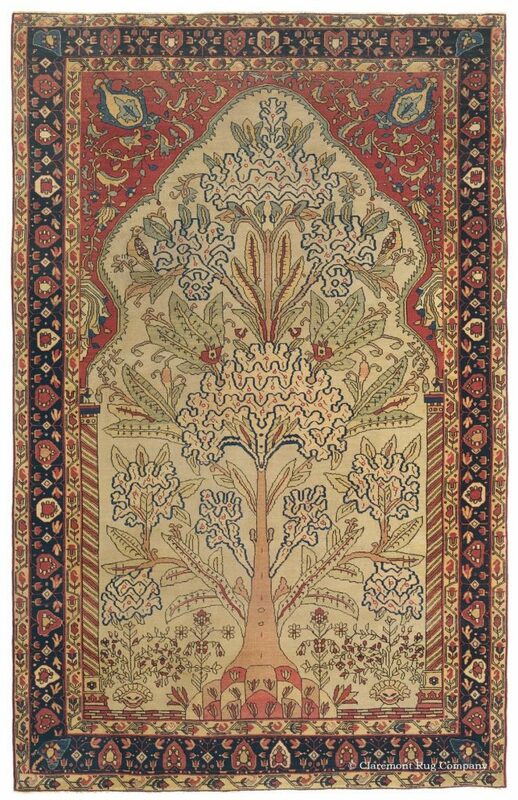 The Tree of Immortality (Arabic: شجرة الخلود Shajarat al-Kholoud) is the tree of life motif as it appears in the Quran. It is also alluded to in hadiths and tafsir. Unlike the biblical account, the Quran mentions only one tree in Eden, also called the tree of immortality, which Allah specifically forbade to Adam and Eve; in other words, there is no tree of knowledge in the Quran.Satan, disguised as a serpent, repeatedly told Adam to eat from the tree, and eventually both Adam and Eve did so, thus disobeying Allah. The hadiths however speak about other trees in heaven. Thank you for a little treatise on the tree of life. How timely. Thank you also for the view of the back of your sweater. I love it. In the vein of countering ignorance, I mentor a group that will be reading “Faithful Neighbors” Christian-Muslim Vision & Practice” as part of our studies this year under the theme of “Living Faithfully in a MultiCultural World”.